Eero Turkka got interested in blues harp as a little boy and ended up studying in Sibelius Academy. 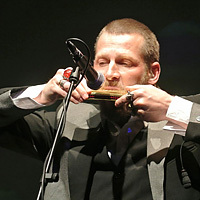 Besides harmonica he plays several other ethnic instruments and sings in multiple bands, including Turkka & Paalanen, Äijä, Trepaanit and Cedip Tur. Eero has graduated from Sibelius Academy in 2006. Eero Grundström graduated from Sibelius Academy folk music department in 2008. He is also a multi-instrumentalist, composer and true improvisation wizard and has worked in all musical fields including free improvisation, theatre, circus, rock, jazz and modern. 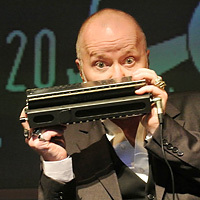 Apart from harmonica, Eero plays harmonium and other keyboards. His other projects are Spontaani Vire, Iso Karhu and Von & Af, Vilda Rosor with Maria Kalaniemi, Sähköpaimen, Crosscountry 50km and many more. Pasi Leino is the most senior member of the band. He worked several years with a best known Finnish harmonica trio/quartet “Raimo Sirkiä”. This trio was active almost 10 years between 1980 and 1990. They were victorious in 1994 Trossingen harmonica festival. 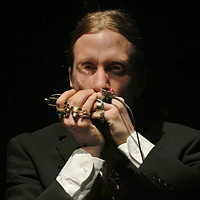 Dr. Kyhälä graduated from Sibelius Academy folk music department in 1999 as the first to major harmonica. He completed his post gradate studies and became the first Doctor of Harmonica Arts in April 2007. Kyhälä has multiple musical capacities having worked with folk, jazz, pop, improvisation and modern dance projects as a composer, musician, performer, etc. 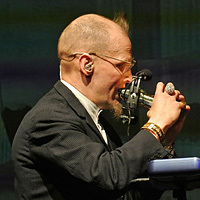 Kyhälä plays keyboards and harmonica in over 20 albums. His other projects include Markku Lepistö & co, Pekka Lehti & Outo Voima, Sysihai and many more.